Jim Skurzynski is an expert of spatial technology, computing in the cloud and on-line real estate and government technology. Skurzynski is a founder of Digital Map Products, a leading provider of web-enabled spatial solutions that bring the power of spatial technology to mainstream business, government and consumer applications. He helped start up Digital Map Products with the vision of helping take spatial technology “to the masses,” making the powerful tools available to small and medium-sized businesses as well as major corporations. He has spent the majority of his career designing and managing the deployment of technology solutions in a variety of public and private sector environments. Over the past twenty years, he has held executive management positions in spatial technology companies in the USA, Canada, and Mexico. As you know, this blog is all about how spatial technology is going mainstream and becoming a key tool for businesses of all types. One of the most exciting trends in GIS and other spatial applications right now is the impact of cloud computing. With the cloud providing a simple and on-demand network of GIS services and software-as-a-service applications, companies that want to implement spatial technology can often get started without costly outlays of time or money. The cloud solves many of the traditional problems of utilizing GIS. In the past, spatial technology was not available to many companies because it called for an investment of time and money. It required highly-specialized GIS knowledge to use; it was difficult to acquire and maintain data; and merging multiple data sets was complex. But as spatial technology turns to a “data as a service” model, the gathering, integrating and maintaining of data takes place in the cloud and is often handled by a spatial technology service provider rather than the company’s own experts. That frees businesses up to focus on their own core competencies, while someone else handles the spatial side of things. The cloud is spurring rapid innovation. 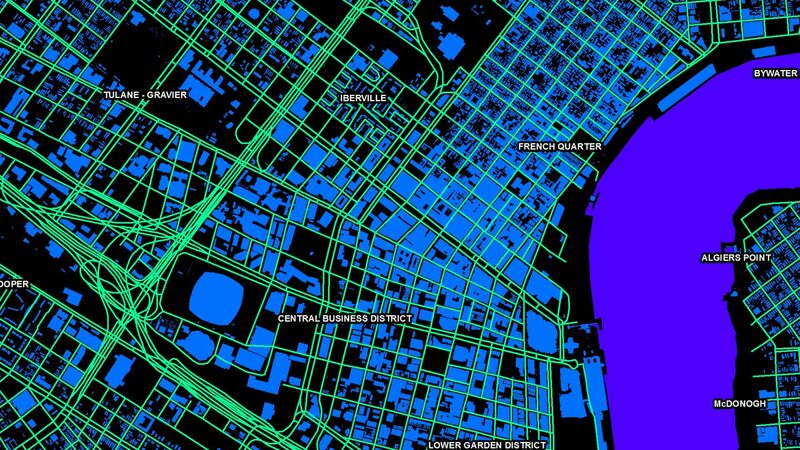 For developers, the cloud removes the considerable challenges of making GIS work, and frees them up to find creative and simple-to-use applications. Cloud development platforms provide standardized, easy-to-implement back-ends for developers who need a robust, reliable, high-performance foundation. At the same time, these new platforms offer developers flexibility on the front end with the ability to customize data, user interfaces, and integrations into workflows. Using the cloud, develops can create spatial infrastructures and tools that fit the unique needs of their users. Cloud-based services are designed to be user-friendly. As spatial technology moves into the hands of end users rather than only experts, new apps are developed to be intuitive, with simple interfaces. Mobile devices especially call for simple and easy-to-navigate features. The move to simplicity has an added benefit: more intuitive interfaces are not only easier for consumers, but business and government employees can understand them more easily as well. That means instead of having to ask the GIS department for help, employees of many companies can for the first time use map-based information in their everyday work, and combine data sets to analyze data in ways they never could before. The data market is expanding. APIs, which are basically geo-data in the cloud, exploded in 2010. In the past, a business that wanted to let its customers search a map had to collect data, integrate it with other data, and keep the data set updated. Now developers have created APIs for real estate, utilities, local governments and other business sectors. That means the developers take on the collection and updating of data and make it instantly fit into whatever application the business chooses. The recession is spurring adoption of the cloud. Rather than slowing down the movement of GIS into the cloud, we’re seeing the recession speed up the pace of change. For example, taxpayers want ever-more-sophisticated maps where they can see their property information, find trash pickup times and even report potholes on their city websites. Local governments, facing major cutbacks this year, are finding that cloud-based technology can let them do more for less money. And we’re finding that businesses in other sectors that began using software-as-a-service during the recession are sticking with it even as they economic sectors improve, because they’ve seen that cloud computer is both faster and simpler to implement and keep up. I expect all of these trends to continue and even accelerate in 2012, further reducing the cost of developing applications and getting them to market. It will become increasingly easier for developers to create robust mapping applications, and developers will find new and innovative uses for GIS technology. New industries beyond real estate, local government and business intelligence will rapidly embrace cloud GIS. As that happens, GIS will finally move from being a tool for specialists in a handful of industries to a common platform for business and consumer analysis, allowing more and more people to incorporate spatial data into their everyday decision-making.